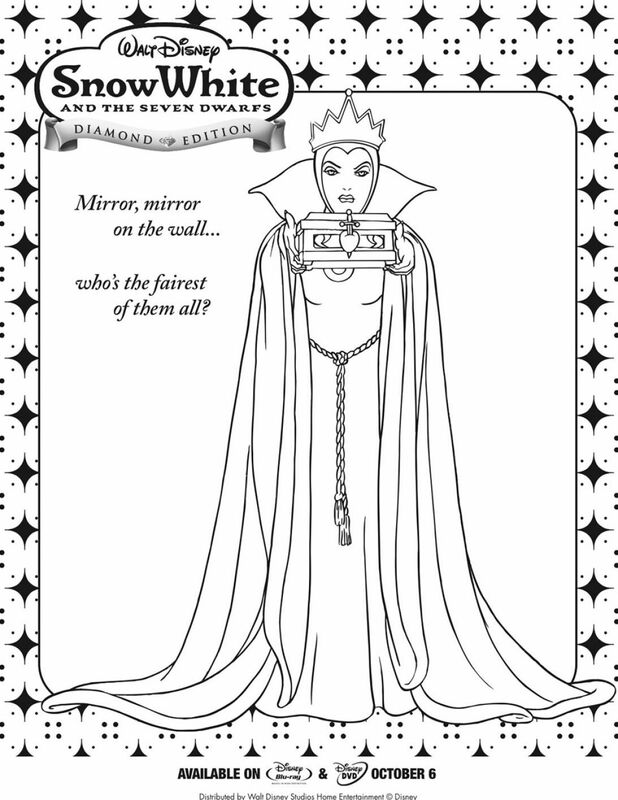 Meanwhile, the queen, believing that Snow White is dead, asks her mirror once again: "Magic mirror on the wall, who is the fairest one of all?" 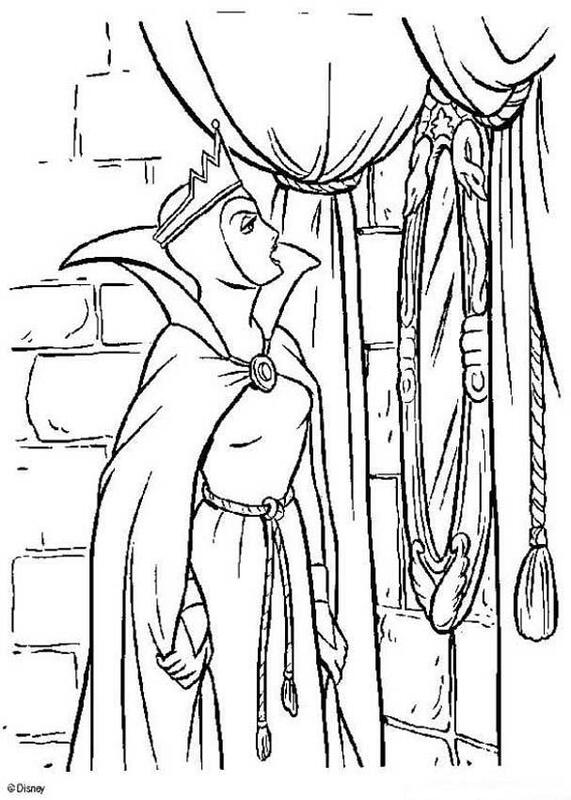 The mirror tells her that Snow White is still the fairest in the land. 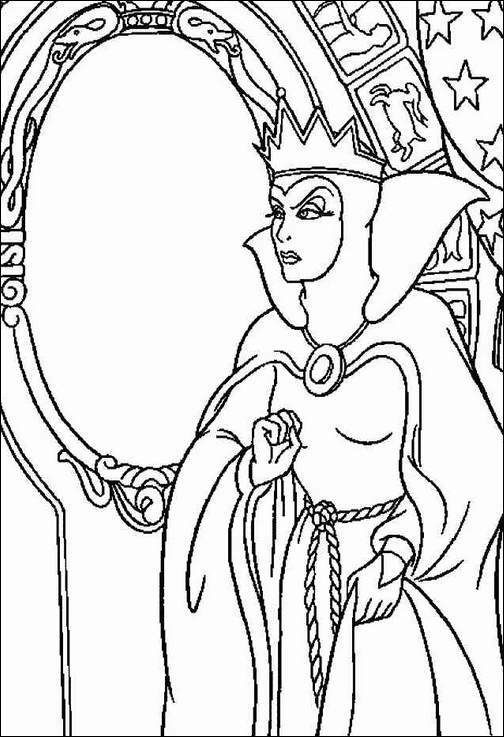 The queen is furious when she learns that Snow White is still alive because of the huntsman, and decides to kill the girl herself with three attempts. 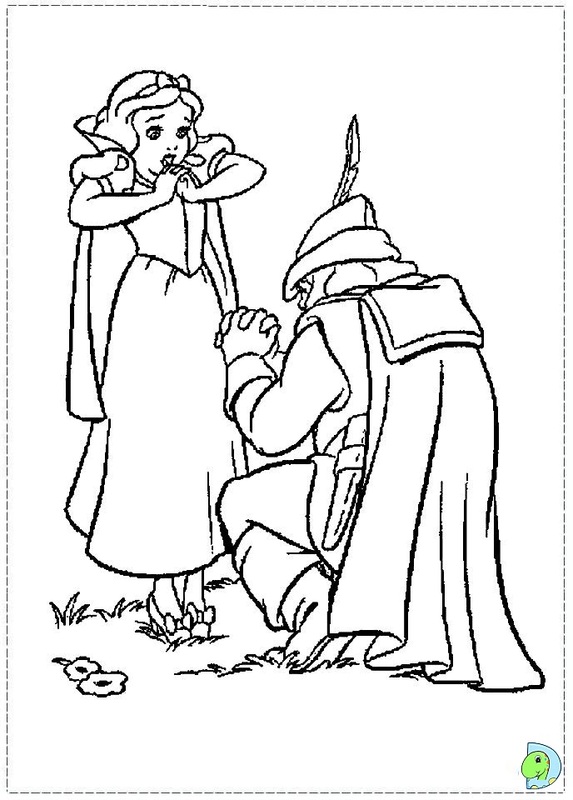 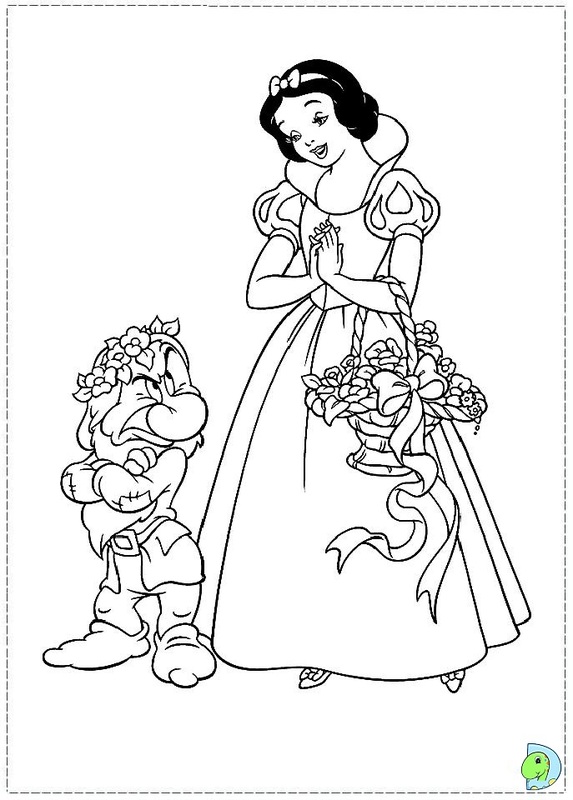 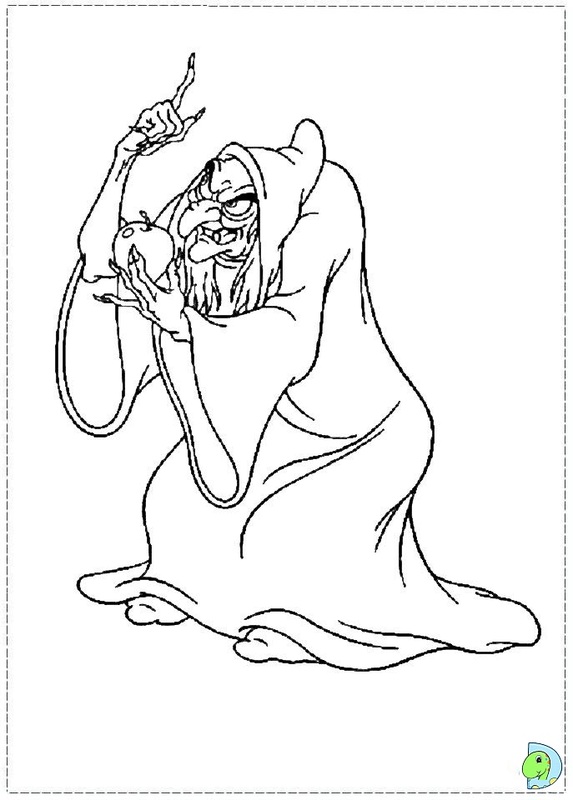 First, the queen appears at the dwarfs' cottage, disguised as an old peddler, and offers Snow White colorful, silky laced bodices as a present; the queen laces her up so tightly that Snow White faints, but the dwarfs return just in time, and Snow White revives when the dwarfs loosen the laces. 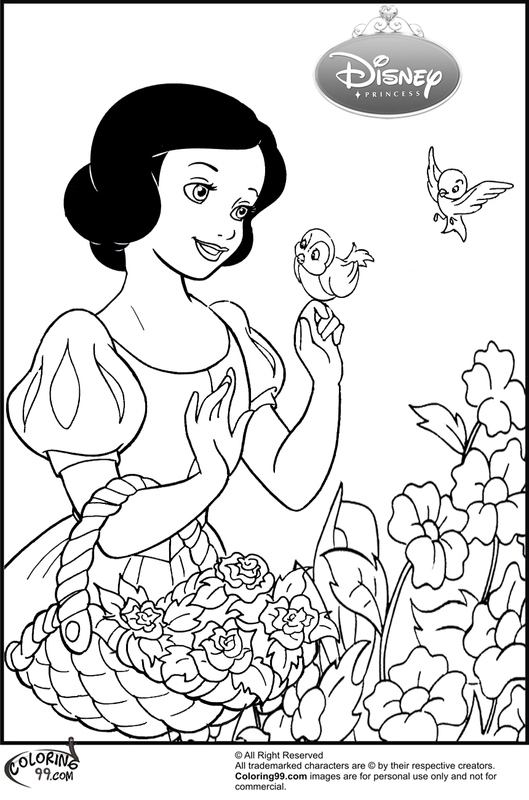 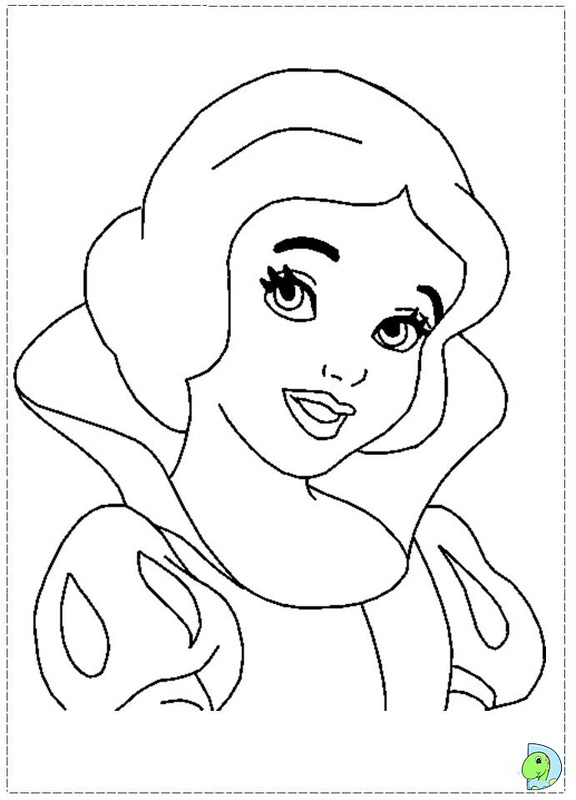 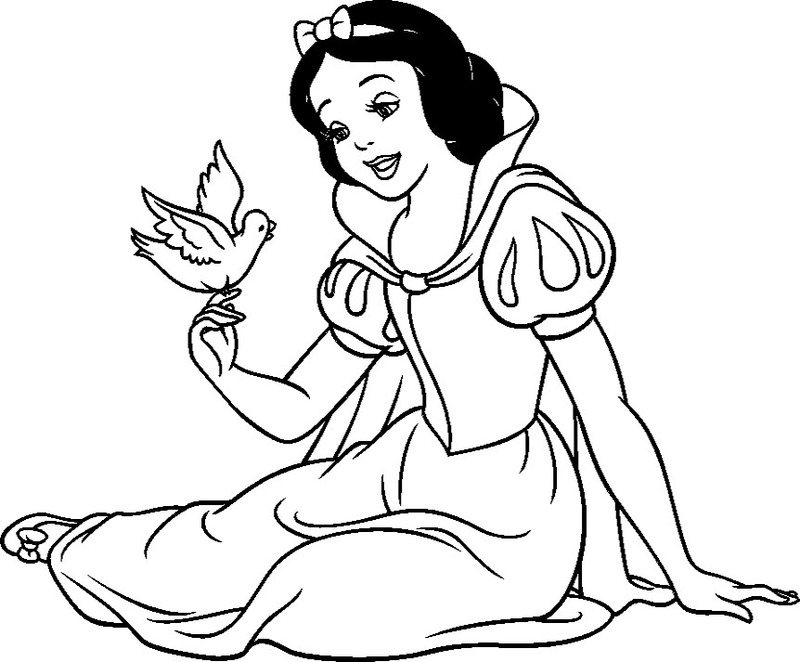 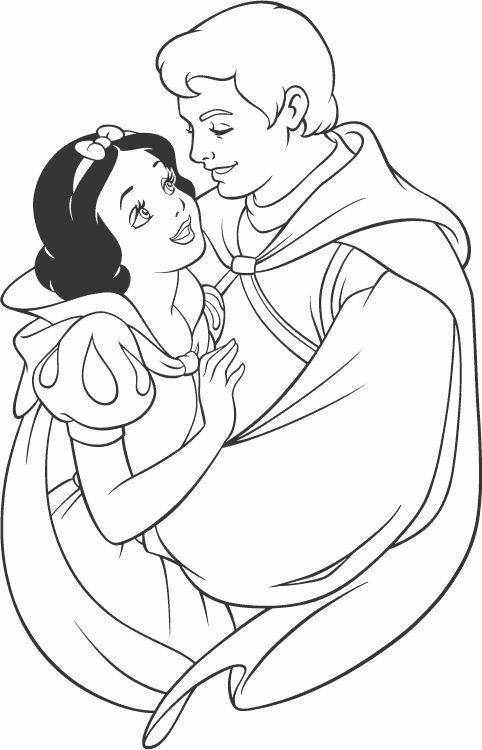 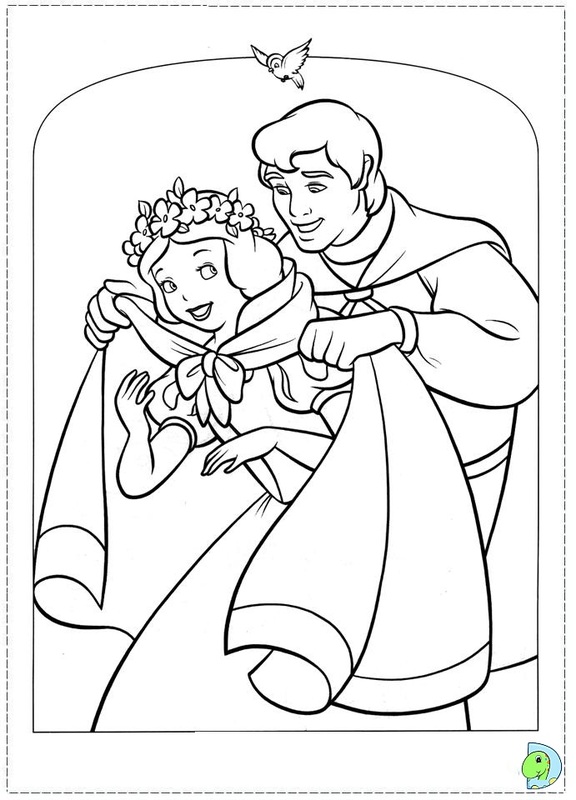 Next, the queen dresses as a comb seller and convinces Snow White to take a beautiful comb as a present; she brushes Snow White's hair with the poisoned comb and the girl faints again, but she is again revived by the dwarfs when they remove the comb from her hair. 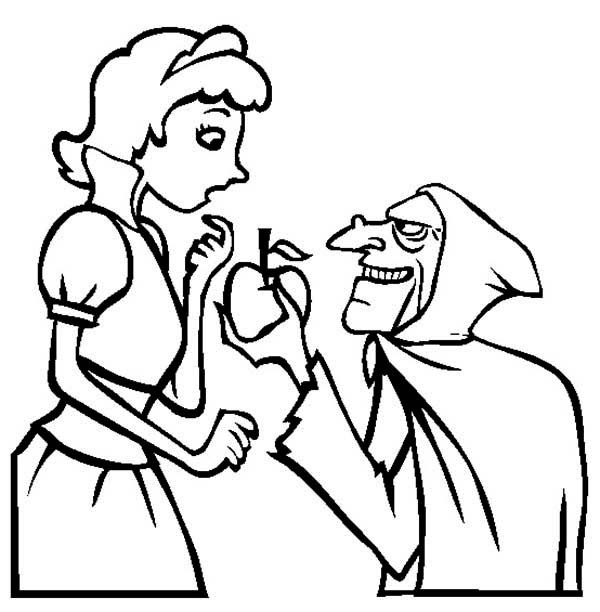 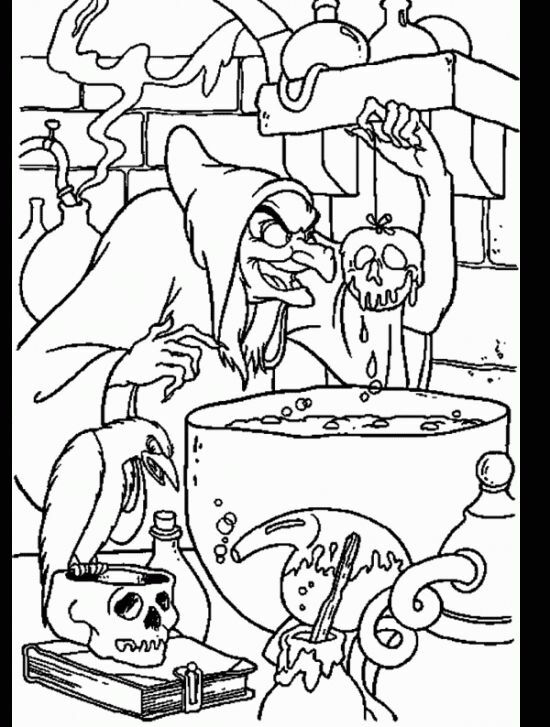 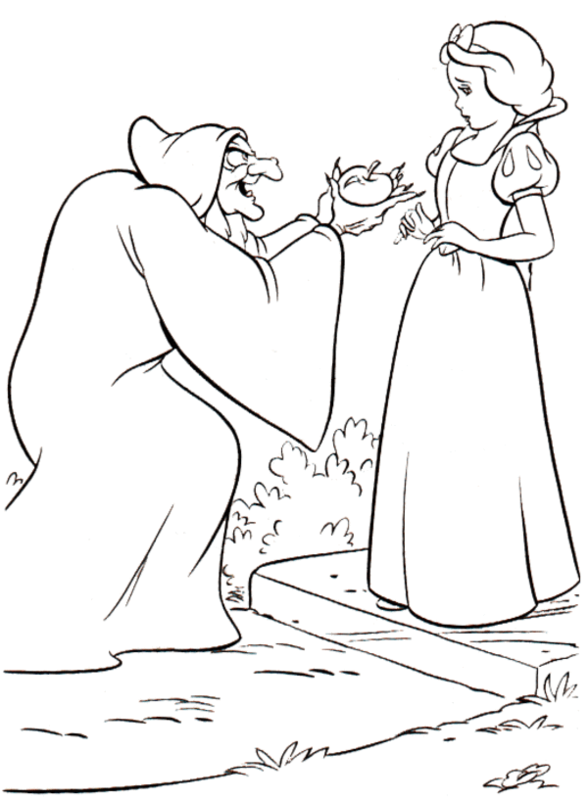 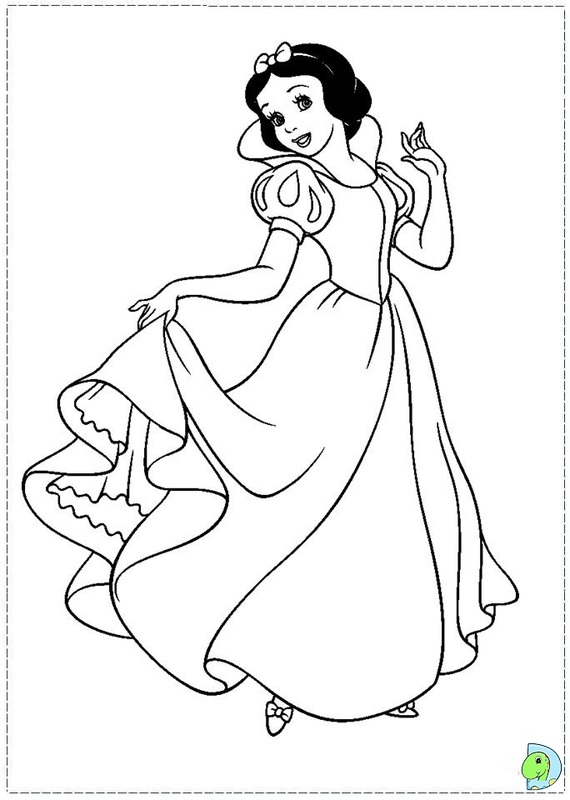 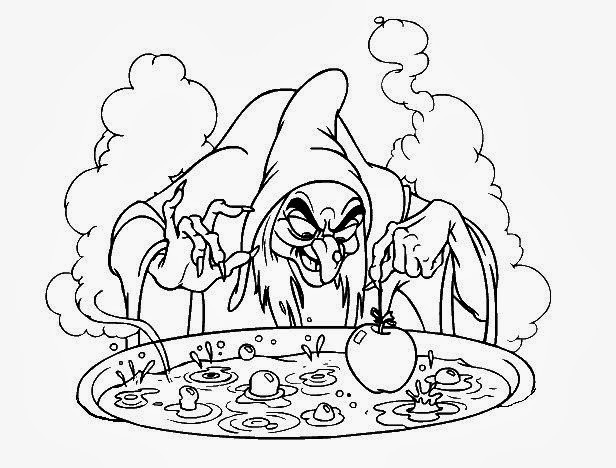 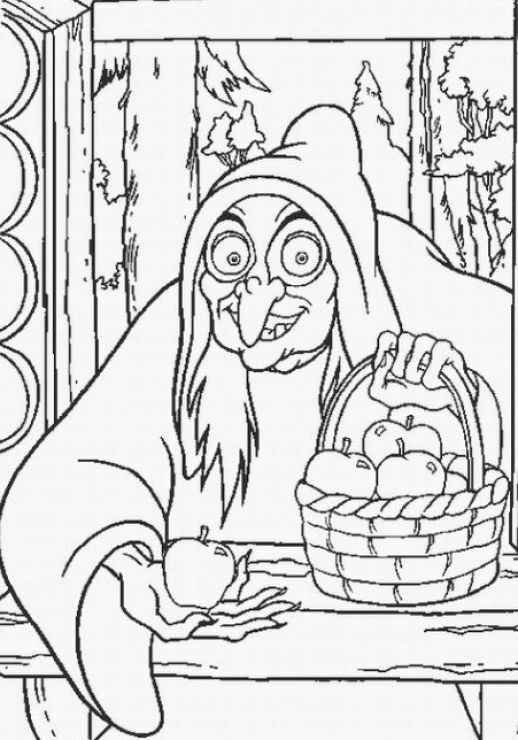 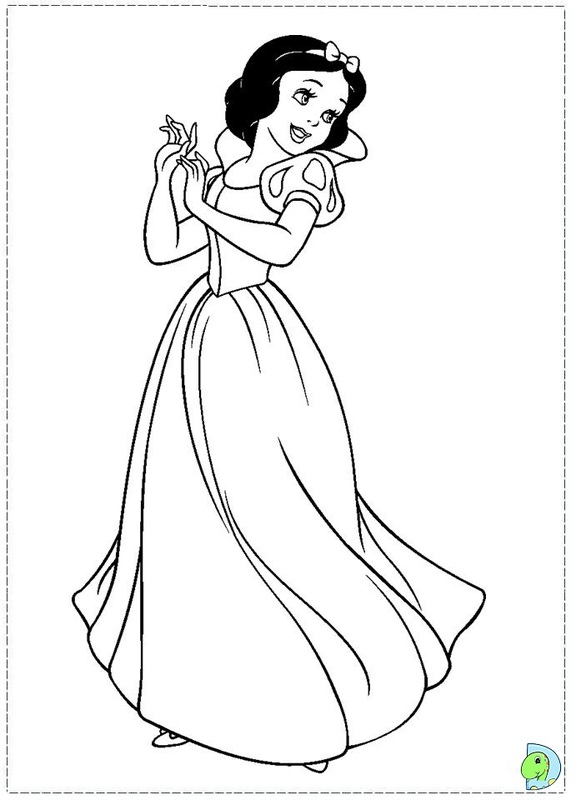 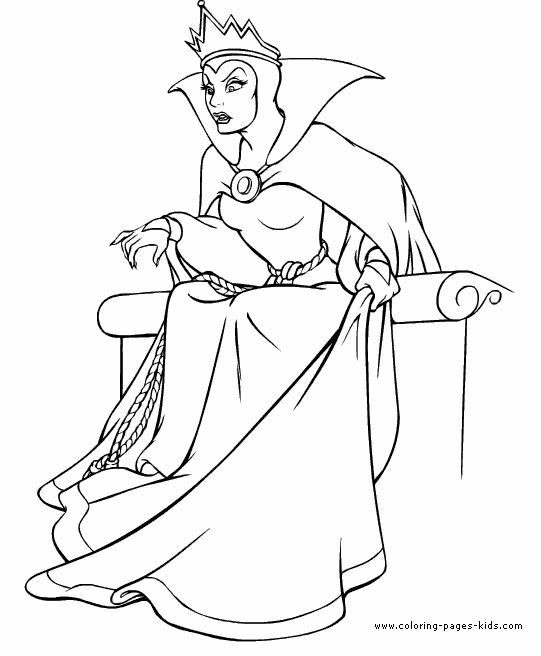 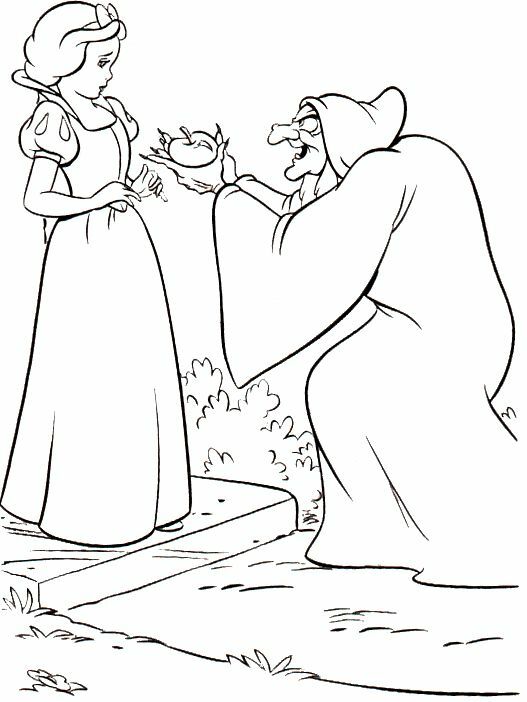 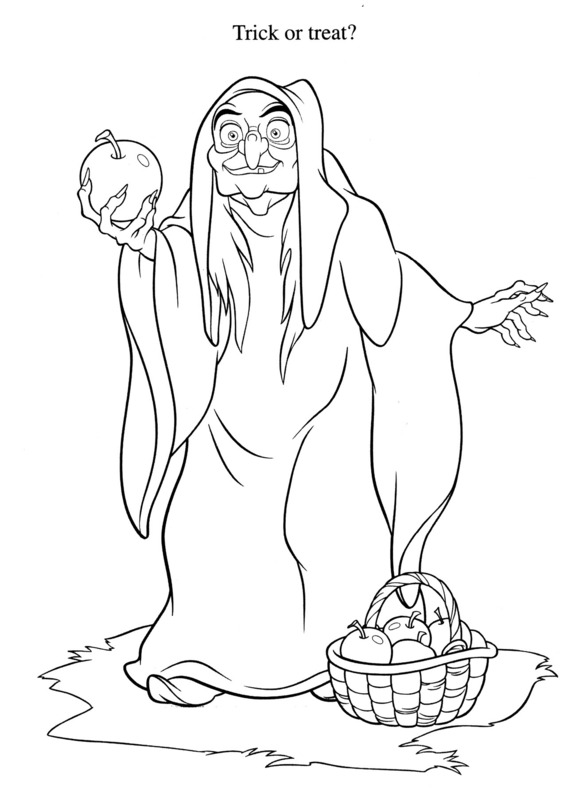 Last, the queen, disguising herself as a poor woman, offers Snow White a poisoned apple; at first Snow White is hesitant to accept it, so the queen cuts the apple in half, eating the white (harmless) half and giving the red poisoned half to Snow White; the girl eagerly takes a bite and falls down dead, causing the Queen to triumph. 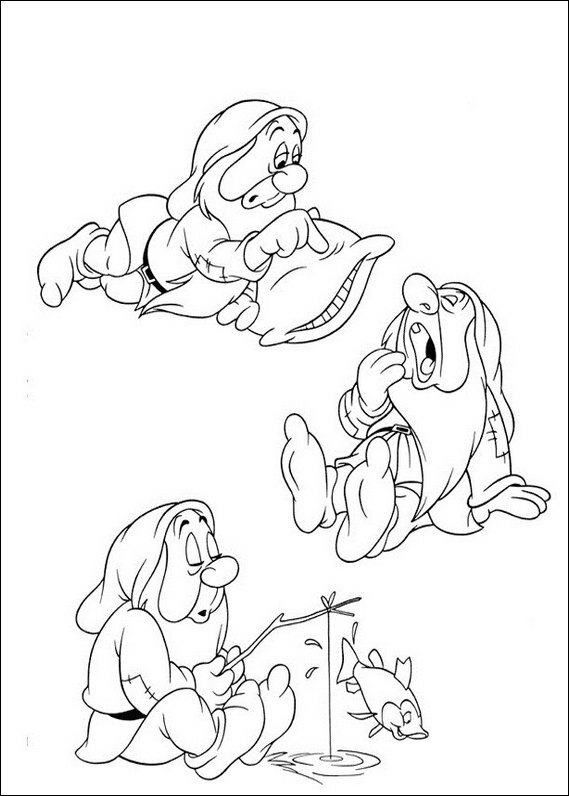 This time, the dwarfs are unable to revive Snow White. 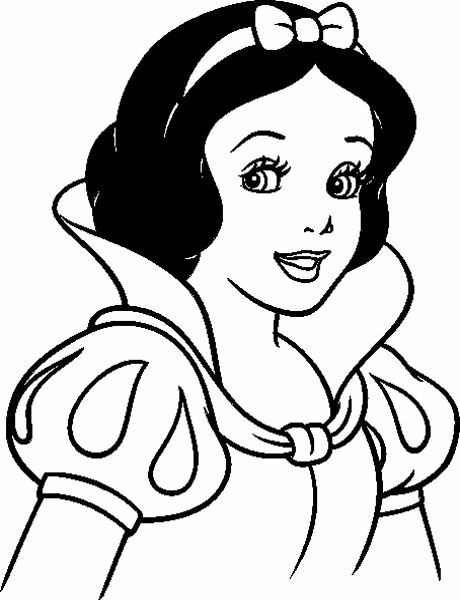 Assuming that she died, they place her in a glass casket.